Would you like to have a few beers with this guy? Long ago, in a political universe far, far away, personal likability was thought to be important in Presidential politics. It was believed that, since we’re stuck with a President for at least four years, and they come into our homes constantly via the TV, we want to vote for a person we’re personally comfortable with. Supposedly, the only time the less likable candidate won in the TV age was 1968. 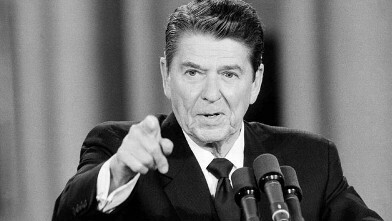 Reagan was successful, in part, because he was likable. Bush 2 was more likable than Gore and Kerry, etc., etc. Who likes Hillary Clinton? Who wants to hear that screeching voice? Who wants to be hectored like a beat down husband? My God, the woman screams unlikability. And a new Fox poll shows 65% of Independents think she’s lying about her emails. Who wants to spends time with a lying shrew? I guess some people would like to have a beer with Donald Trump. I call people like that jock sniffers. They admire celebrities like jocks, actors, anybody rich and famous. I can only speak for myself, and all the guys I know like me. He’s an obnoxious coxcomb, and a complete jerk, madly in love with himself. No thanks. Gary Johnson is probably a guy I’d love to knock a few down with. He’s originally from Minot, North Dakota, where his dad was a school teacher. His father had been adopted by Scandinavian-American parents, while his mother was of Ukrainian immigrant stock. The family moved to Albuquerque where Johnson ran track in high school, and went on to work his way through the University of New Mexico. A year after graduating he started his own business, which turned into one of the largest construction companies in New Mexico. When he was 40 he took on the Republican establishment, and with half a million of his own money won the nomination, and went on to beat an incumbent Democratic Governor. After two eminently successful terms he took some time off to climb Mt. Everest, and is one of these fitness nuts. He’s 62 now, divorced, and making his second run for President as a Libertarian. I’m going to make a leap of faith and assume he’s serious. He should be. This is the craziest year in American politics in my lifetime, and anything can happen. Right now Fox has it at Clinton 39, Trump 36, and Johnson 12. We’ve got five months coming of Clinton and Trump hammering each other, and doing it effectively. But there is always danger in a political attack. It can hurt both the attacked, and the attacker. Johnson can stay serenely above the fray. I’ll be surprised if he can’t get in to the debates. I think people will feel as though he should be given a shot. And anything’s better than having to spend a whole debate looking at Trump and Clinton. And once he’s in the debates, anything can happen. I have a strong suspicion that Johnson is smarter than both Trump and Clinton, and would use that to his advantage. I can dream. Minot, North Dakota and Albuquerque, New Mexico are on the very eastern edge of the Far West, which does not include the easternmost parts of the Dakotas, Colorado and New Mexico. So Johnson is a man of the Far West, from birth. It’s no coincidence he turned to libertarianism, because this is the most libertarian part of the country, by far. It’s in the culture. If a cowboy’s not a libertarian, who is? And as a former Governor of New Mexico, he knows all about the big absentee landlords in D.C., the BLM and the National Forest Service, and he’d like to be rid of them. He gets the Transfer of Public Lands issue. He doesn’t need to learn it. This is the issue that wins him electoral votes, and possibly throws the election into the House. If that happened, you would see the most important game of cutthroat in American history. Last time it happened, in 1824, we had the Corrupt Bargain. But, of course, back then politicians were corrupt, so nothing like that could happen now. Our political class, represented in this case by the 435 members of the House to be elected in November, will be making the decision, and we can all have complete confidence in them. Every state gets a vote, just as the Constitution intended, and it takes 26 states to win. Alaska and Wyoming have as much say as California and New York. The majority of each state’s delegation decides who to vote for. No one is bound to do anything. This is why the Far West should vote for Johnson. Throw the election into the House, where a block of ten or twelve Far Western States could get whatever they wanted.